ArcGIS Server is the GIS server based software component from ESRI’s suite of ArcGIS products, replacing ArcIMS. Find links to resources, online support and tutorials for using and developing ArcGIS Server. Robotic mapping using LiDAR. 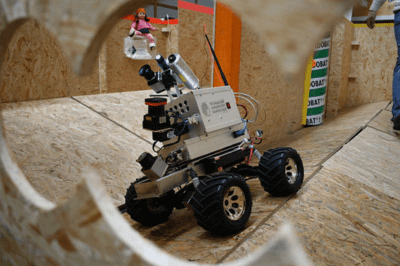 The robot was built by the Technische Universität Darmstadt in Germany.